Swan Extra Slim cigarette filter tips with 120 filters per pocket friendly box. The perfect size when you want to roll a super thin smoke with a textured outer covering for easy rolling. Quantities occasionally limited so stock up when available. 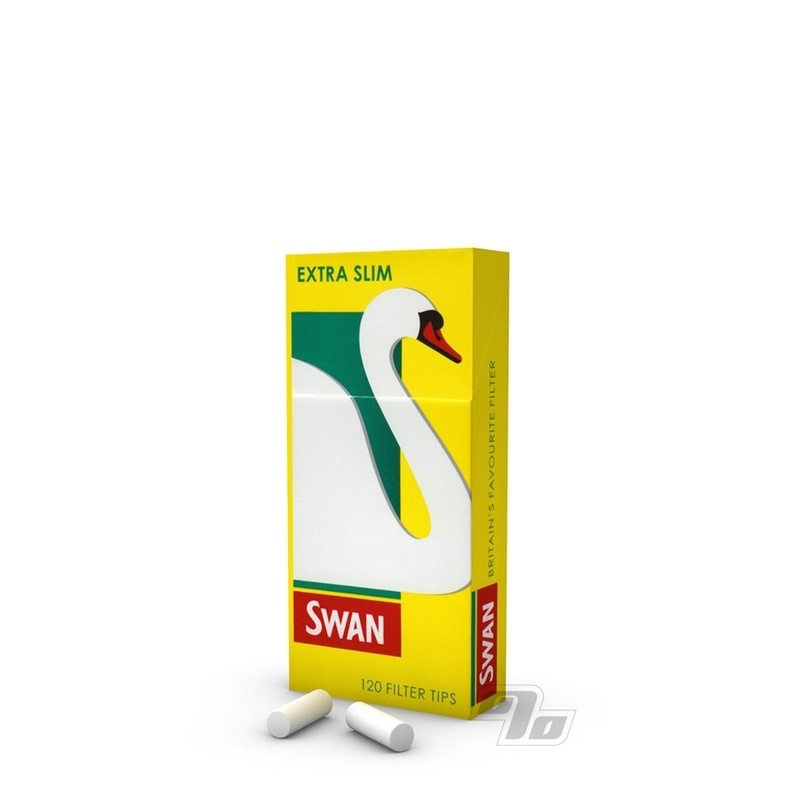 These Swan Extra Slim filter tips are 5mm in diameter and approximately 12mm long. 120 filter tips grouped 6 to a cello sleeve in the flip top box keeps it neat and tidy. The #1 cigarette filters brand in the UK for a reason. Please note that the Swan Filters offered at 1 Percent are the real deal and imported from the UK (hence the occasional shortage). They are a much better quality filter than the SWAN bagged ones we're seeing in the US market. The Swan brand was licensed from Swan UK and these US bags are made in the Middle East... We won't be offering those filters. A reasonable alternative is the Zen SuperSlim Filters.